Jhene Aiko has released the visuals to her latest single “The Pressure” off her upcoming album Souled Out. 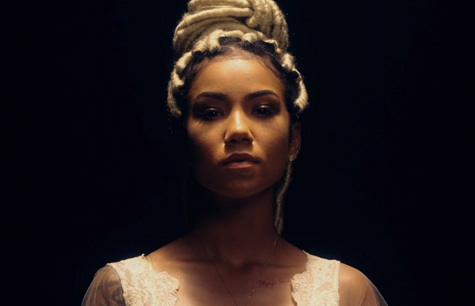 The video reflects songstress Jhene rocking a blonde dread hairstyle as she illustrates the pressure of balancing her personal life with relationships and being a single mother to her professional life of the fame and red carpet. The video which was directed by Childish Gambino and Calmatic features a cameo from the singers daughter Namiko. Souled Out is set to hit shelves September 9th, with features from No I.D, Common, Key Wane, Fisticuffs, James Fauntleroy and Dot Da Genuis. Jhene is set to join The Weeknd on his four city “King Of The Fall” tour along with ScHoolboy Q kicking off September 19th at Brooklyn’s Barclay Center.